Thread: 99¢ Camber Measuring Tool! Can't believe I have been living under a rock for years! I have debated on buying a $200 camber measuring tool for years and promised I will get one for my following birthday. Well, today I have stumbled upon a gem, a 99¢ camber measuring tool! The tool is an iPhone app call CamberMeas and it costs only 99¢. 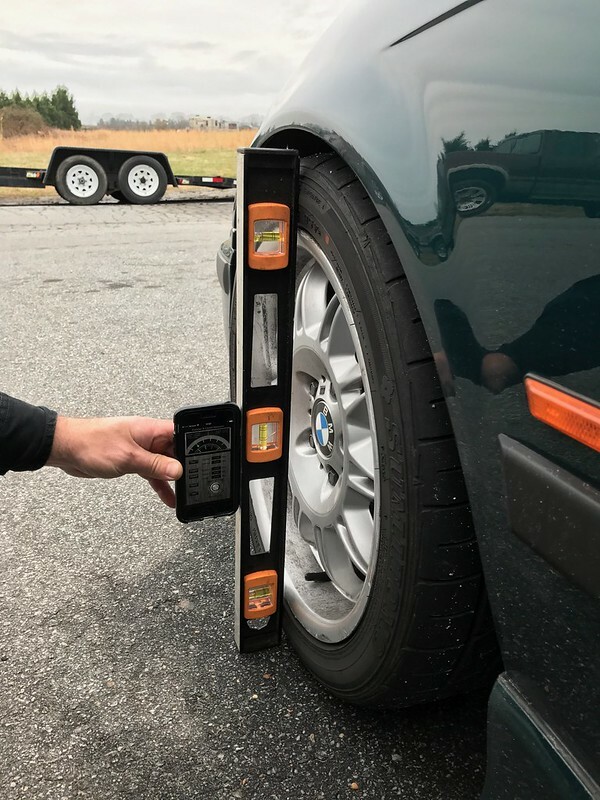 You can calibrate the app to your surface which then lets you measure the camber on uneven surfaces. It is surprising accurate from my testing. 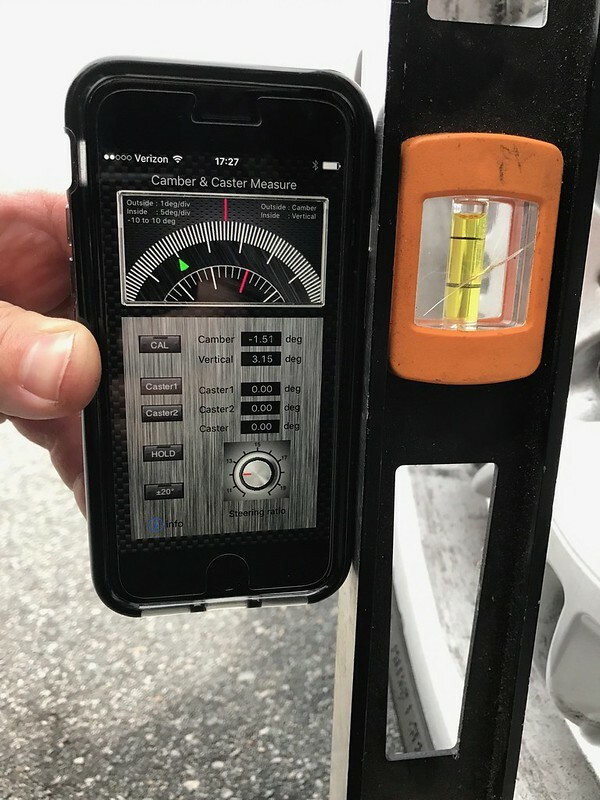 My brother has had alignment done on his E36 M3 recently and camber was set at 1.5 degrees negative, this tool measured the camber at 1.51 negative camber! I will not trust the tool for an alignment job but it is good enough to ballpark a camber change for an autocross or just to test various settings on a car before the final alignment is done at a professional shop.